As LED technology continues to revolutionize the lighting industry, LED’s are finding their way into increasingly more decorative light fixtures. 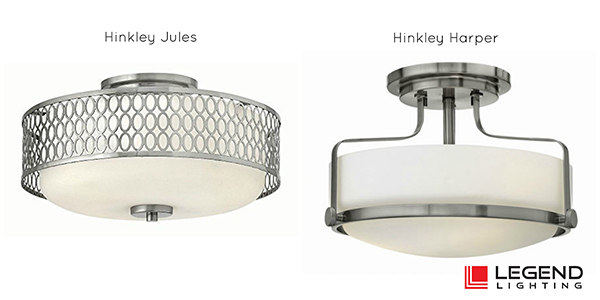 Designers and manufacturers are creating beautiful light fixtures using LED’s. Thus far, the most widely accepted uses of LED light sources have been recessed lighting, under cabinet lighting, accent lighting, rope and tape light and landscape lighting. 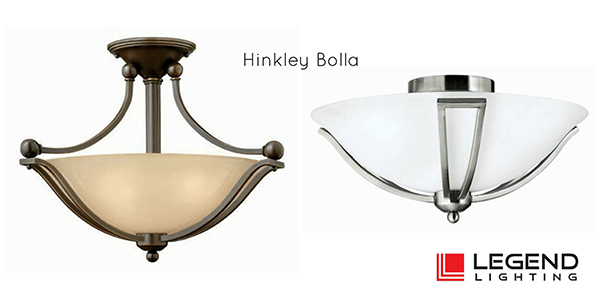 Design styles offered by contemporary lighting manufacturers have easily incorporated LED technology. As homeowners continue to look for ways to reduce energy consumption in their homes they are becoming more educated about the return on investment offered by LED technology. Every year at the lighting market we see more decorative interior lighting designed with LED’s. It is an exciting time for the lighting industry since designers are able to create fixtures without the constraint of a bulb. The possibilities are unlimited and we can’t wait to see the progress! 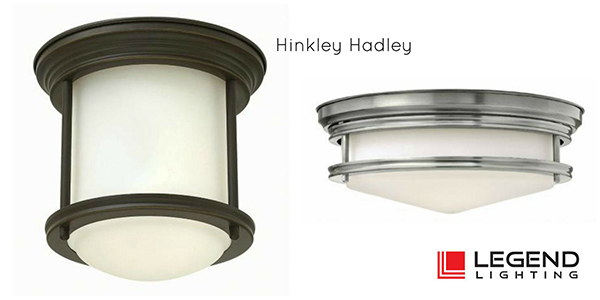 Today we want to highlight some of the decorative LED products from Hinkley Lighting. Hinkley is dedicated to staying at the forefront of technology by utilizing the latest in engineering expertise and cutting edge components. 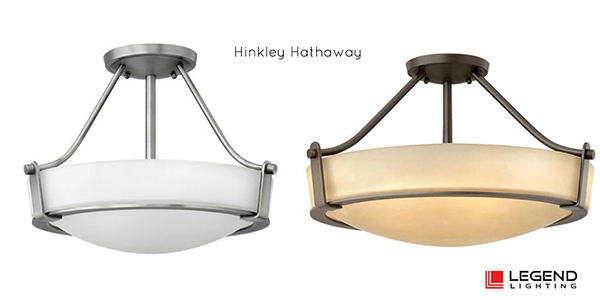 Is there a place in your home where you could use these energy efficient AND stylish LED ceiling lights? 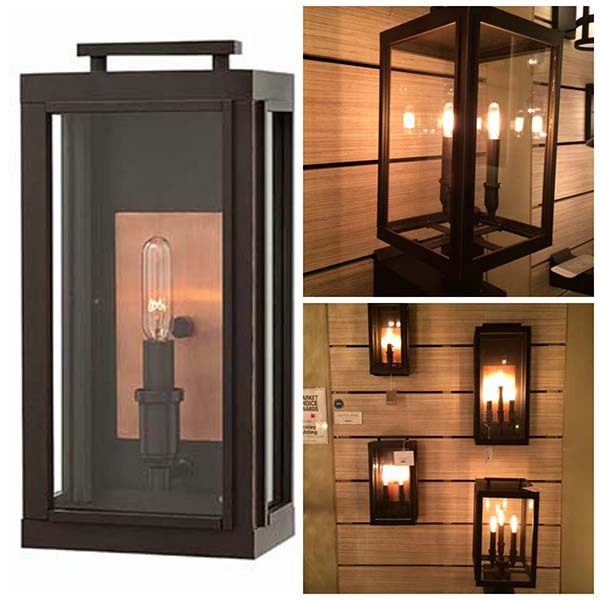 For more information on these or any lighting products, contact the Legend Lighting showroom at 512-251-0000 or come by to visit us at 15342 N. IH 35. 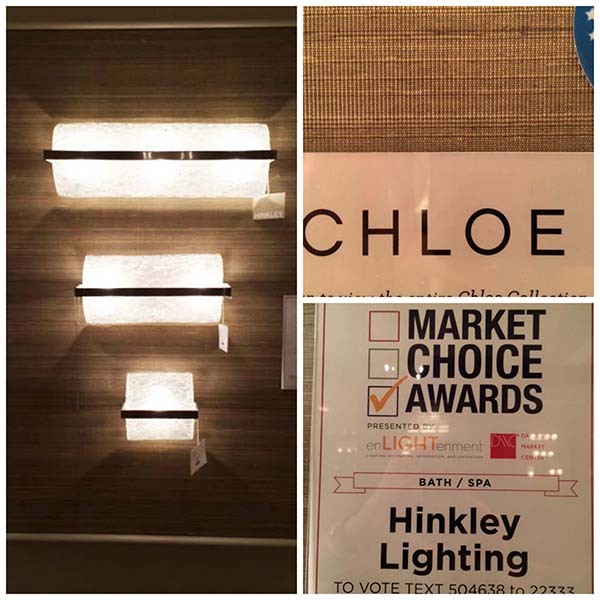 Hinkley Lighting won awards for Best Outdoor Lighting, Best Landscape Lighting and Best Bath/Spa Lighting, in the first ever Market Choice Awards, co-sponsored by enLIGHTenment Magazine and the Dallas Market Center. 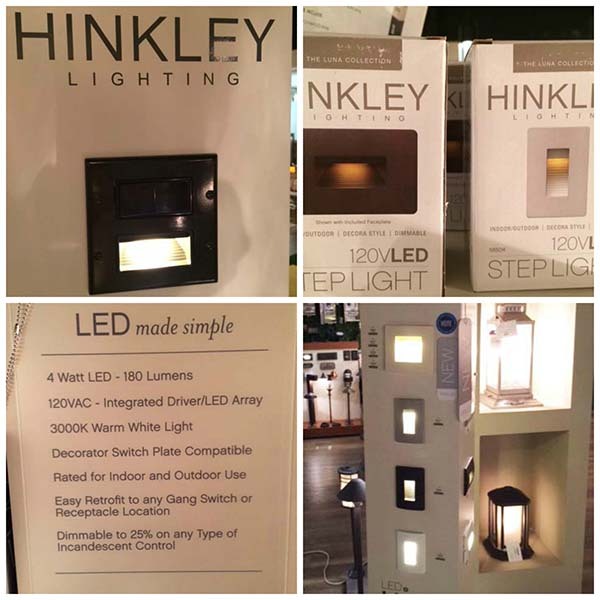 The International Lighting Market, which takes place in January and in June, typically offers more new product introductions in January. The awards were created to highlight the new product offerings that manufacturers bring out in June and promote the products that are on display during the summer market. Over 30 manufacturers participated and buyers were given the chance to vote on their favorites by category via text messages. The Sutcliffe collection conveys chic elements of early Americana styling. The candelabra lamping, clear glass and copper reflector infuse this sleek pocket lantern design constructed of solid aluminum with a perfect blend of old and new. Hinkley’s Luna LED Step Light offers an idea solution for any 120V outlet or switch location. Rated for indoor or outdoor use, this decorator style sized step light includes a contemporary styled radius front die cast face plate. It consumes only 4W per unit with 180 lumens and is dimmable to 25%. Chloe is a dramatic modern design with stunning Piastra glass as its focal point. A slender Brushed Nickel frame securely captures the glass allowing this versatile collection to be mounted horizontally or vertically. 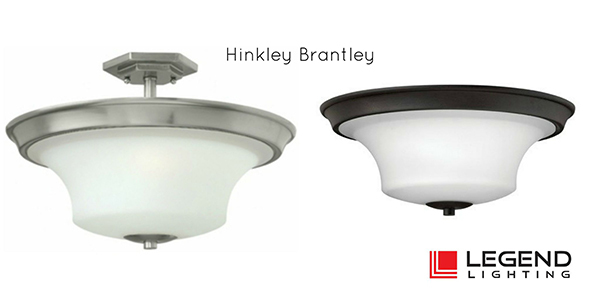 To learn more about Hinkley Lighting, visit their website here. 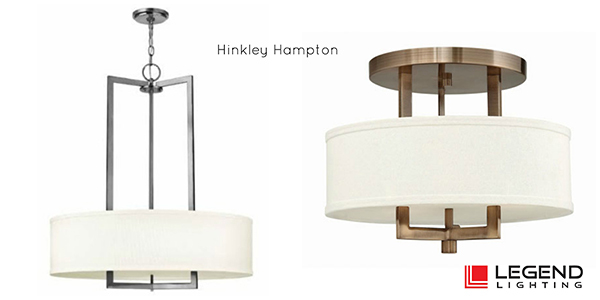 OR better yet, come on into the Legend Lighting showroom to see LOTS of Hinkley Lighting on display! We’re looking for our next Lighting Specialist!